You are here: Home / News & Events / Library Calendar / SUMMER READING KICKOFF!! 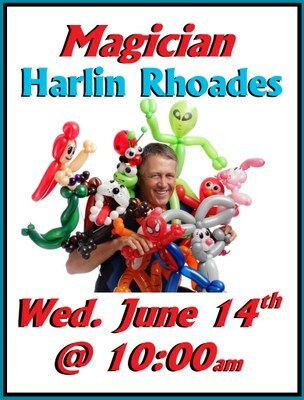 Harlin will be kicking off our Summer Reading Program on Wednesday, June 14th at 10:00am. He will laugh, play and read with everyone about what it means to Build a Better World. See You There! !